Earlier this summer, we finally had success growing tomatoes in Saipan (we’ve been trying since we moved there!) and there was much celebrating. 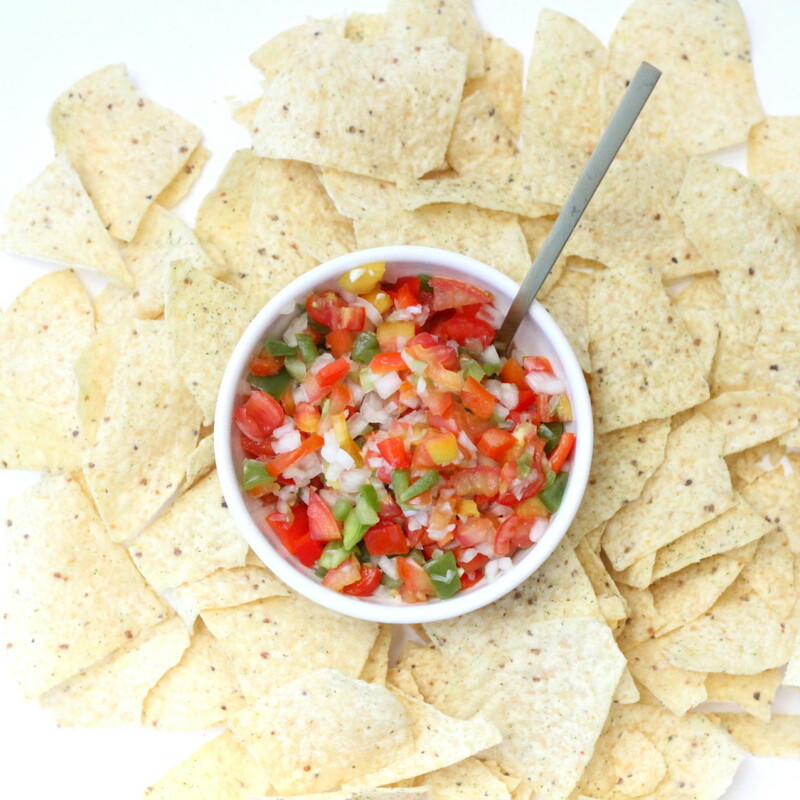 And lots of salsa (as in, Daily Batch of Salsa lots). We lost our tomato plants in the typhoon (sad day), but right now, we have access to my sister’s garden. 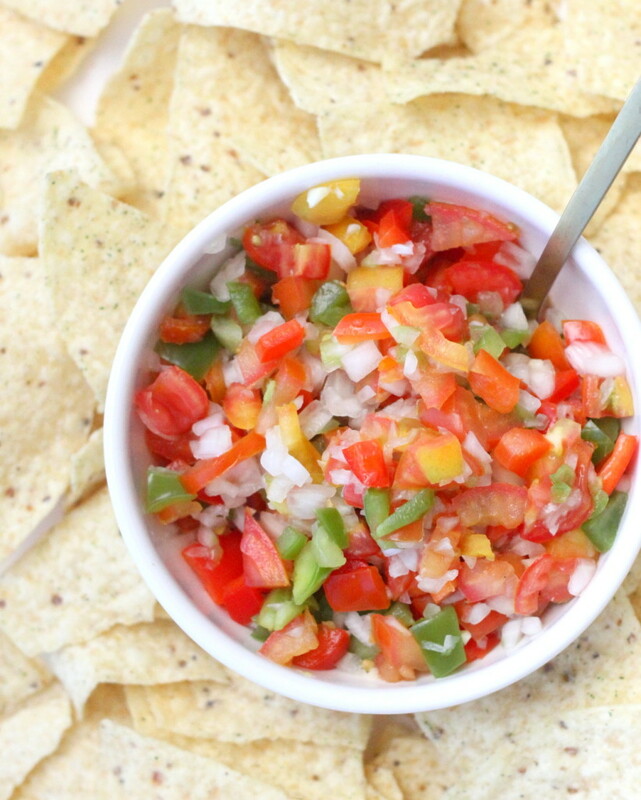 And so- more salsa. Since both Adam and I hate cilantro (lucky pairing), our recipe doesn’t include it. You can always add some if you happen to be of the cilantro-loving variety. But why ruin something so yummy? 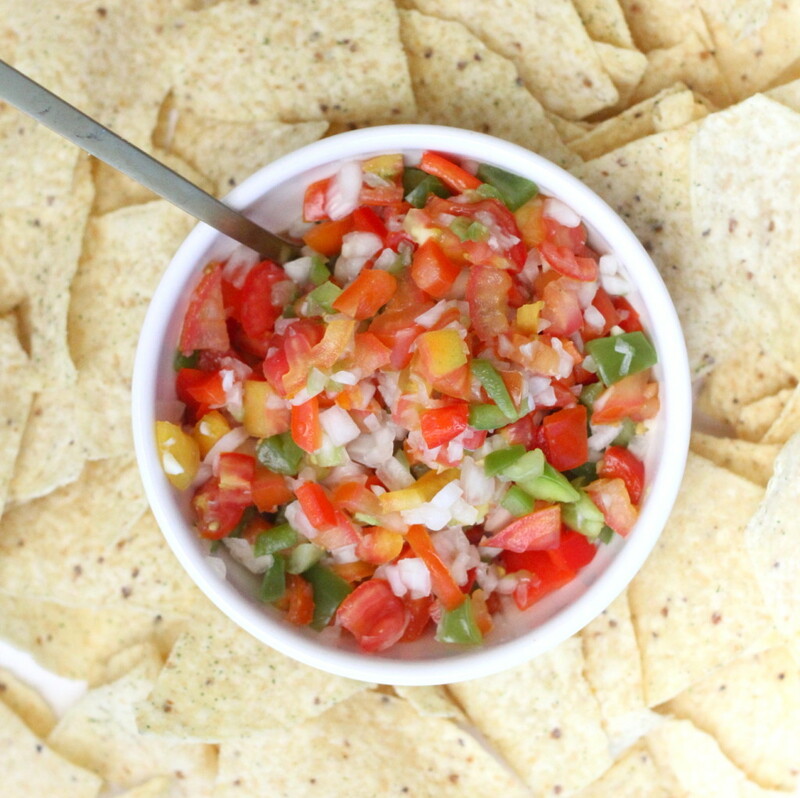 This yummy salsa keeps for a few days in the fridge (and we think it tastes better on day 2 if we can keep it around that long!). ps- Adam learned in dental school that cilantro tastes kind of like soap to some taste buds. 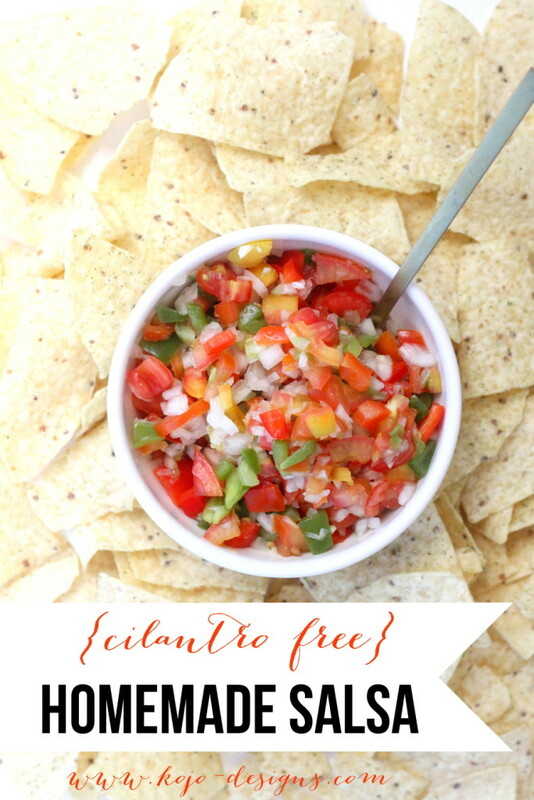 Anyone else with this cilantro aversion out there besides us?